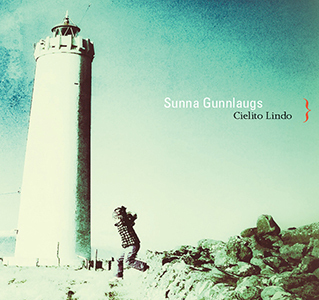 CARRIED ON A WARM, NORTHERLY BREEZE, Sunna Gunnlaugs’ previous trio release Distilled (2013) brought treasures aplenty from the pianist/composer’s native Iceland – a finely-crafted display of elegance, playfulness and imaginative free improvisation. Now, new album Cielito Lindo expands on those themes to deliver an hour-plus of 14 more engaging originals and arrangements, with bassist Þorgrímur (Toggi) Jónsson and drummer Scott McLemore. 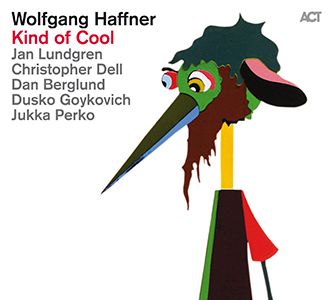 What particularly appeals about the pianistic character of Sunna Gunnlaugs is her blend of influences which allude to Bill Evans’ and Bobo Stenson’s lyricism, yet also seem to incorporate the bright, tuneful openness of, say, Oscar Peterson and the kind of sparky, inquiring edge associated with Esbjörn Svensson. Title track Cielito Lindo has it all – opening, percussive rustlings and under-the-lid piano string shimmers unveiling Quirino Mendoza y Cortés’ charming, lilting Mexican melody upon which Gunnlaugs improvises with customary authority. Scott Lemore’s Compassion reveals the trio’s steady, delicate interaction with almost Bachian overtones; and the subtle bossa of the pianist’s own Endastopp becomes increasingly energized as it crackles to hard-edged drums and double bass. The trio’s freely improvised ‘spin cycle’ thread continues, briefly punctuating the lengthier tracks with short settings Spin 8, 9 and 11 (maybe 10 is in the next load!) – and Dry Cycle communicates urgency through its high, ostinato piano chords, syncopated riff and memorable melody, followed by flamboyant improvisation. Seemingly obvious choice, Gershwin’s Summertime, is however reinterpreted beautifully, as fleeting snatches of the familiar strains are glimpsed through the mystery of skittering bass and drums; whilst amiable Workaround suggests e.s.t.’s blues-implied impudence. Jónsson’s Vetrarstef possesses the yearning eloquence of a classic theme tune, its wintry folksiness occasionally redolent of acoustic Mike Oldfield; and Gunnlaugs’ Icelandic Blues snaps and crunches its way through seven glorious minutes which brim with smile-raising chromatic jollity, jaunty piano extemporisation and a thunderously percussive conclusion – a tour de force! Contrasting Tiltekt is exquisitely homely, its chiming melodies afforded the space to resonate; and All Agaze (another of McLemore’s gems) twists and turns unpredictably – ebullient grooving, yet with darker, Gustavsen-like moments. And to close… well, the songwriting of Tom Waits is frequently a source of jazz inspiration, and his Johnsburg, Illinois receives a faithful, picturesque outing from the trio, highlighting Waits’ penchant for a good melody. Once again, Gunnlaugs and her trio achieve their discerning balance of tuneful accessibility, compositional distinctiveness and the constantly-undulating landscape of delicacy and high energy. A remarkable achievement – and a very fine album. Released on Sunny Sky Records on 14 August 2015, Cielito Lindo is available at Bandcamp. GEORGE GERSHWIN’S 1930s American folk opera, Porgy & Bess – a tale of against-all-odds love set against a backdrop of prostitution and drug addiction – is known to many for its popular songs such as Summertime, It Ain’t Necessarily So and I Loves You Porgy. 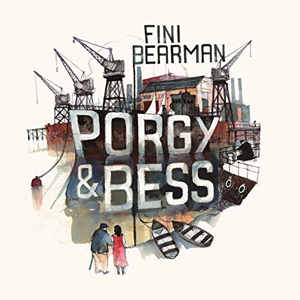 Released on the ‘F-IRE presents’ label on 28 October 2014, Porgy & Bess is available from ProperMusic and usual outlets.